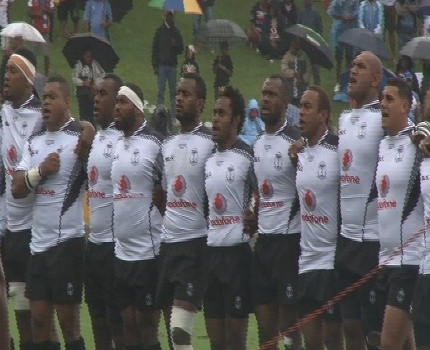 The Maori All Blacks staged a late comeback to defeat the Vodafone Flying Fijians 27-26 at the ANZ Stadium in Suva. Fiji got off to a flying start with a try each to fullback Kini Murimurivalu and star winger Nemani Nadolo. Nadolo left the field in the 39th minute with a suspected rib injury. Akapusi Qera scored a try on the stroke of halftime and Josh Matavesi added the extras as Fiji extended its lead to 26-10. The Kiwis hit back in the second spell with two tries and a penalty kick to steal the win.